It was mid-late 2006 when I was struggling to understand what my next creative move should be. I was considering Burning Man, yet how I would probably never venture out to it’s dusty desert location due to my chronic bronchitis. This project actually grew partly out of my desire to bring the culture and spectacle of Burning Man into places where I could enjoy it as well. Half-joking, I came up with the idea of ‘Sinking Man’ (which had sprung from its bleaker sibling ‘Drowning Man’). 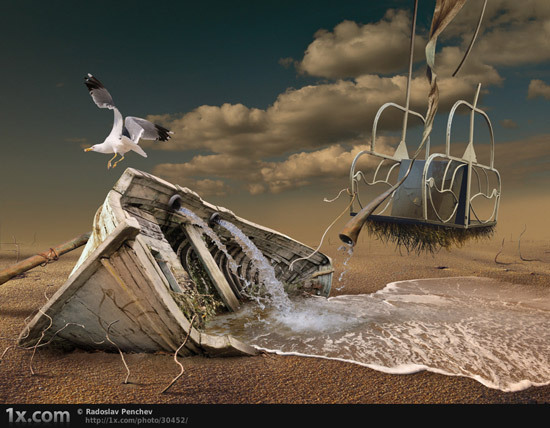 I imagined Sinking Man would be an Elementally Water themed ceremony that would take place out at sea – possibly as a gathering of sailboats. Even doing something desperate like sea-jacking an oil rig crossed my renegade mind… make a big metal man, stick some art, lights and cameras on it and film sinking it to the bottom of the sea at midnight (sink the metal man that is, not the oil rig). Something about the idea stuck with me and sparked my awareness to this continually developing real-live mystical adventure. Sometime around March 2007 I realized the next link on this chain of events that are becoming Project ALTER MaN 4 7 (AM47). It struck me that the date of the Burning Man event falls right in the center of the ancient Egyptian sidereal astrological sign of Leo, a Fire sign: Fire sign = Fire ceremony… stands to reason. 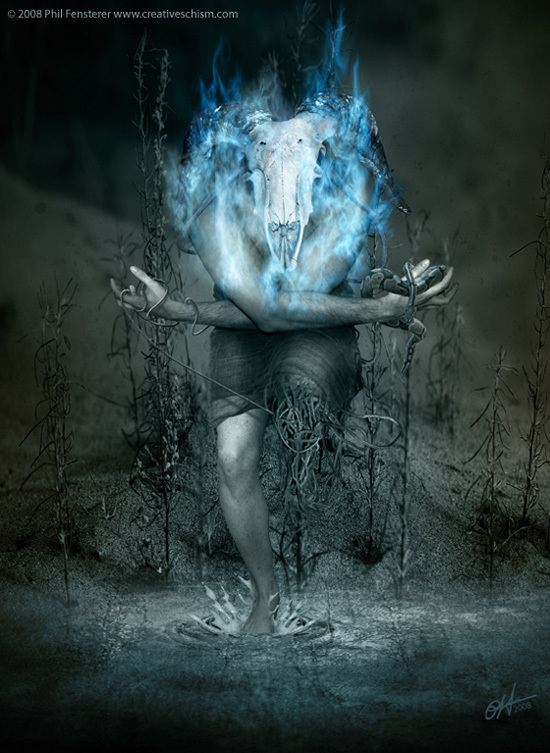 Yet according to the most commonly adhered form of Western astrology called tropical astrology (what most people erroneously think of as astrology), Burning Man is thought of as taking place in the beginning of the tropical sign of Virgo. The difference between the astronomical, sidereal and tropical zodiacs. 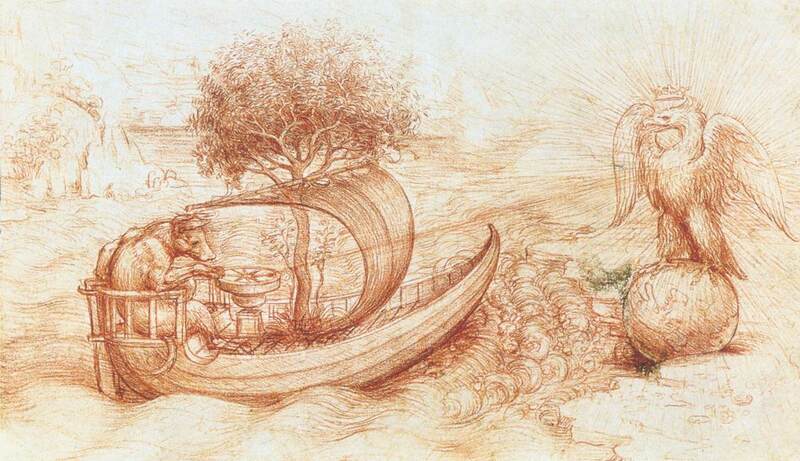 Virgo is an Earth sign and that is an Elemental placement which does NOT stand to reason, at least not in relation to a Fire-themed festival such as Burning Man and the tropical zodiac. I’d been studying* both the long history and practice of astrology for a few years and I was intrigued that I’d noticed both this correlation and this difference. I wondered where I might discover any other incongruities and what, if anything they might mean. 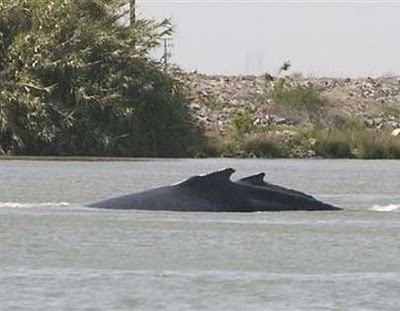 Next, in mid-late May 2007 two injured female humpback whales, a mother and calf that became known as Delta & Dawn got “lost” in the San Francisco Bay. I live in San Francisco and it was a pretty big deal here. Right about the time that they finally and inexplicably decided to swim back down river toward the sea and vanish (the date of this event would also prove to be most highly significant, as you will soon see), I had an ultra-vivid Visionary Dream that I now suspect was somehow influenced or even induced by these whales. 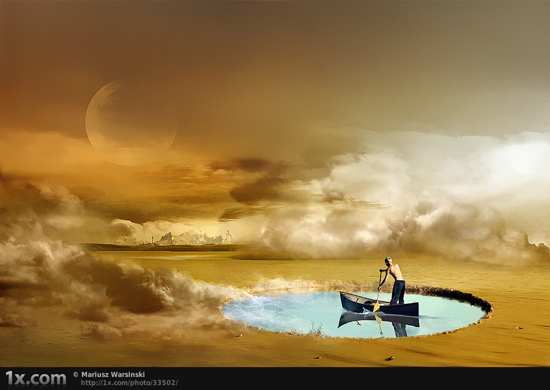 The dream felt more like what I imagine a vision would, as opposed to what I understand a lucid dream to be. Astonishingly, key elements of this dream surface in my ongoing research and my current creative process of producing the future film: AM47. I’m in a cottage I know north of San Francisco, closely resembling the place circa 1995. I am cataloging stacks of VHS video tapes. Multiple copies of the same three films comprise the stacks. I select one and turn it over in my hand and vaguely understand it as a film that I-myself have made called OCEAN ~ Water Will Forever Change You. The art, pictures, title, design and some of the words are quite clear and familiar to me. On the front of the tape at the top, the words Water Will Forever Change You are printed over an image that swims, almost like a hologram… it moves like the picture itself is a few captured seconds of a scene taken from the film. The feel of the scene vacillates between being threatening and merely surprising. In it, a startled young woman in a parka-jacket and a large backpack is turning to look-back over her shoulder. She is in a large underground cavern with stalactites above and behind her. Pools of dark water ripple and behind her a creature rises. Nodes crown the forward sloping head and the neck is also giraffe-like, though serpentine. In size, skin color, pattern and texture the creature exactly resembles the Orca whale. It is difficult to tell whether or not the creature is a threat or if something else unseen is threatening off to the side and behind both of them. Beneath this image, the title OCEAN is printed. I turn the tape over and on the other side there is another image that has a similar fluid quality: Underwater, murk and debris stir violently. A vast, gaping mouth with the same definite Orca markings, huge, yet without teeth, surges forward and inhales. The surrounding sea-water, debris, and all else in its path are sucked into the blackness of the-thing-all-consuming, swimming ever closer. Suddenly there are strangers coming into the cottage, I look up. As I try to show them the film, the atmosphere of the room rapidly turns thick and sinister as a ravenous darkness bleeds in. This dream has stuck with me. And as I said, certain parts of it will resurface and even come to make sense with tangible evidence in the “real world”, and as they directly factor into the development of this project. Of the many curious linkages of AM47 and this dream to external projects, one truly fascinating connection that I made is to a mysterious organization based in San Francisco called The Jejune Institute. I describe the connection in detail here. In early July 2007, I made the next major connection that really began to tie all these things together. I realized that if Burning Man is taking place during the center of sidereal Leo (currently held in Black Rock City, NV, USA, although originally held on Baker Beach, San Francisco, CA, USA), and that coupled with my knowledge about astrocartography (which basically, is graphically transposing the paths of the planets down onto the face of the earth ~ as above, so below), then what if there were 3 other ‘Elementally themed’ ceremonies based on the 4 Classical Elements* of Alchemy and Astrology: one for Water, one for Air and one for Earth. Since that year’s Burning Man began on August 25th, 2008 in mid sidereal Leo (Fire), then naturally following the ancient Egyptian/sidereal zodiacal year, the other 3 ceremonies would follow about every 91 days throughout the 365 day year. These other 3 ceremonies would then fall in the other 3 fixed signs of the sidereal zodiac: Scorpio, Aquarius & Taurus. Tentatively titled for continuity and with gallows humor, ‘Sinking Man’ would peak on December 1st, 2008 in mid sidereal Scorpio (Water), ‘Hanging Man’ would peak on February 28th, 2009 in mid sidereal Aquarius (Air) and, you guessed it, ‘Burying Man’ would peak on May 31st, 2009 in mid sidereal Taurus (Earth). The exact dates of the 4 Elemental ceremonies should rightly culminate when the Sun reaches the center or “Angel Point” of each fixed sidereal astrological sign, perfectly cross-quartered throughout these 4 times of the year, every year thereafter**. So then if each ceremony takes place at a different time of year, then why wouldn’t they take place at different locations as well? Why not then stretch Burning Man (or at least the spirit of it) into a series of 4 global events at 4 points around the world and chronicle the migration of a core group of devotees aboard an ocean-vessel on the year-long journey to connect all 4 points? Starting with the original location* of Burning Man in San Francisco (37.47**N, 122.28 W), then heading west with the path of the Sun to each subsequent location spaced every 90 degrees around the planet at the same latitude of the original point. I was inspired to test my theory. Now from here on out, Synchronicity and a plasticity of imagination rule the day. 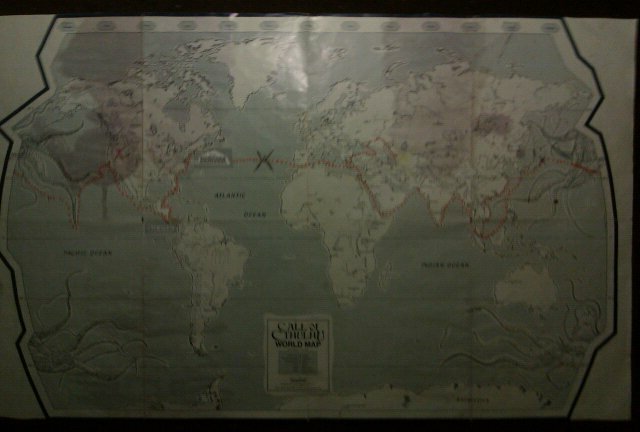 I fished out the only map of the world that I had on hand at the time (it was the World Map from the old role-playing game “Call of Cthulhu”) and began plotting the 4 points on it. The 4 Points turned out to be in San Francisco, off the coast of eastern Japan, in Turkmenistan and with delighted surprise, among the Azores. As I plotted west from the first Point of Fire in San Francisco out into the Pacific Ocean toward the Point of Water, I felt I might be onto something when this second point turned out to be situated over the Japan Trench, part of the Mariana Trench which is the deepest point in the ocean and in the world — 7 miles straight down. And since I was plotting for Sinking Man, the ‘Point of Water’, I called it a hit. So then, plotting west again another 90 degrees, I landed in a place I didn’t ever remember even hearing of before called Turkmenistan. Though I didn’t know anything about Turkmenistan at the time, it was situated far inland and looked like it might even be in the deep desert and as I was now looking for Hanging Man, the ‘Point of Air’, the combination of inland and desert seemed like another hit. Without skipping a beat I set out assured to plot the final ‘Point of Earth’ of Burying Man. With great disappointment I hovered as I could see my anticipated Point of Earth was about to plop into the middle of the Atlantic Ocean. The 4 Elemental Points of AM47 as seen from Above the North Pole. ‘How could Earth be in the middle of the sea?’… But then my pulse quickened after I plotted the final point and took a closer look: the AM47 Point of Earth had landed in the middle of a cluster of nine tiny dots on the map that turned out to be a gang of remote islands. The Point of Earth had landed amongst the beautifully enigmatic island archipelago of the Azores! I’d call that a hit… But I didn’t yet realize just how strong. I had heard of the Azores before but I knew absolutely nothing about them. I pulled up a few websites and I was immediately enchanted. The Azores are an actively volcanic chain of nine islands on the Mid-Atlantic Ridge, a major seismic fault line. I should make it clear that the exact AM47 Point of Earth in the Azores landed at 37.47 N, -32.28 W, which is in fact in the Atlantic Ocean. 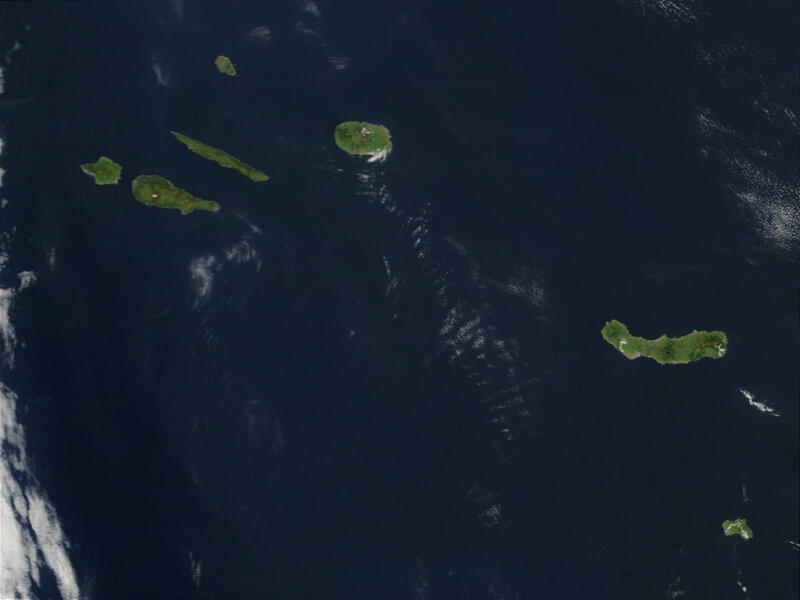 The closest currently existing Azorean islands are Corvo at 39.69 N, -31.10 W, and Flores at 39.22 N, -31.15 W. But at only @ 100 miles away from the exact point, these islands are really very, very close given both the scale and the fact that the surrounding area is many hundreds of square miles of open ocean in every direction. And who knows what is sunken at and near that point? Some say Atlantis. There are definite sea-mounts at the very AM47 Point of EARTH, and they are perfectly aligned with the fault line. There are stories of islands – new earth! – erupting from under the sea in that vicinity as recently as 60 years ago. Additionally, upon raising the contoured sea-bed (to a time before a great earthquake?) 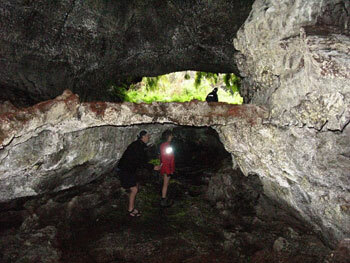 or lowering the sea-level (to an Ice Age level) around the islands of the Azores to a time in the past (or future!) when the sea-level was different and possibly before the Azorean caldera had collapsed or the volcanic land-mass shifted and/or flooded, the Azores could have been one large island. The Azores islands may actually be the mountain tops of a small continent or large island… Atlantis. In this alternate geography, the Point of Earth lands directly on this phantom coastline… like in my Delta & Dawn Dream. Traditional Azorean cookout in the steamy volcanic earth. Native Azoreans traditionally cook their dishes outdoors, in places on the islands where holes and cracks in the hot volcanic earth release heat and steam is coming up out of the ground! Just like the ‘elderly lady’ stirring the steamy cauldron in my dream. There are even pictures of cookouts that look very much like the scene from my dream… Amazing! And when I saw pictures of the underground caverns on some of the islands (…what is lost under these calderas? ), I recognized them as being almost exactly like the one from the picture on the front of my dream VHS tape OCEAN ~ Water Will Forever Change You. What’s more, the Azores are a favorite hang for dolphins and whales of nearly every type and whale watching is a favorite pass-time and tourist economy. 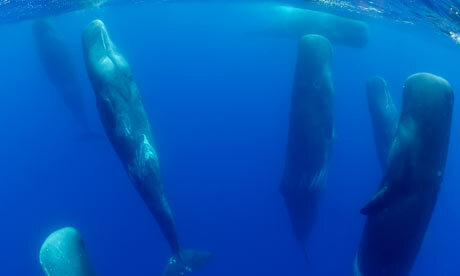 A Sperm Whale “Sleep-In” at the Azores. 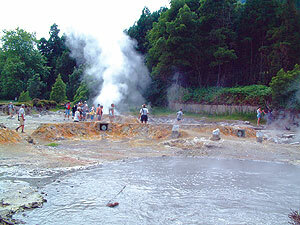 Also, I suffer from chronic bronchitis which interferes with me living my life A LOT, and it just so happens that the hot springs and caverns in the Azorean town of Furnas are world famous for the treatment of respiratory ailments. The Azores, when measured from sea base to tip, are the tallest mountains (and growing) on the entire Mid-Atlantic Ridge… Point of Earth indeed. The AM47 Point of Air is deep in the “Kara Kum” or Black Sands Desert, Turkmenistan (37.47 N, 64.03 E), which is exactly 180 degrees latitude around the world from both Burning Man (in the Black Rock Desert! ), and the AM47 Point of Fire in San Francisco, CA, USA. Turkmenistan borders both Iran and Afghanistan to the south, and though it is essentially located dead center of a lot of the trouble in this world, Turkmenistan’s standpoint of permanent neutrality (Very AIRy mind you) makes it like the Switzerland of Central Asia/Middle East. It is accessible by sea in the summer since it borders the Caspian Sea to the west, and the Caspian Sea connects to the Black Sea by the Volga-Don Canal and then on-through the Black Sea into the Mediterranean Sea and beyond. In order for AM47 to reach this Point of Air at the prescribed time, it will be necessary to dock the AM47 ship in the Iranian Gulf of Hormuz at the port of Bandar Abbas, Iran. From there a crew from the AM47 ship will need to travel overland through central Iran and across the border into Turkmenistan to the AM47 Point of AIR, right near Gonur Depe, birthplace of Zoroastrianism: the fulcrum between ancient alchemy and the root of all modern monotheism. Of course if war breaks out in this region AM47 will be impossible to complete. AM47 needs access and transit in this place. A war here destroys any chance of AM47 and of mankind itself. Turkmenistan is a former Soviet country in Central Asia that has held the distinction of being one of the most isolated and repressive societies in the world. Of all the countries in the world, Turkmenistan is ranked at 167 of 169 on the ‘most repressive countries list’ (169 being the most repressive). Strangely and with appropriate madness that this ‘Point of Air’ (Elemental Air being indicative of clear, intelligent communication), should be so utterly perverted in a world so out-of-balance and strayed from true Sidereal Astrology, which has essentially been non-existent since long before the Dark Ages. 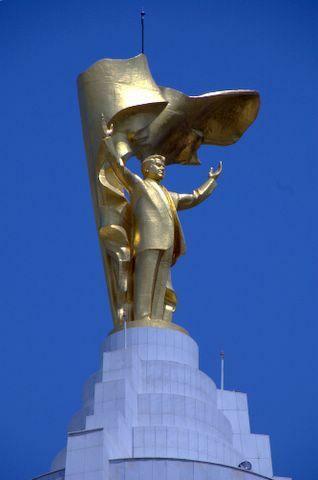 Golden statue of the late totalitarian leader of Turkmenistan atop the “Arch of Neutrality”. Turkmenistan has begun to open to the world only as recently as February 2007, after “President for Life” Saparmurat Niyazov died suddenly of cardiac arrest on December 21, 2006. Turkmenistan’s international profile has been dominated by the country’s position as an increasingly central player in the politics of natural gas production and supply, not to mention its centralized strategic value. In fact, Secretary of State Hillary Clinton has recognized Turkmenistan as the leader of “energy security” in the entire region. Turkmenistan, Point of Air, has one of the top, if not THE TOP world reserves of natural gas under its deserts. And here is where I uncovered the existence of the Darvasa Gas Crater, a natural gas crater in the middle of the Black Sands Desert, almost exactly 180 degrees around the world from Burning Man. This crater is the size of a city block and it has been burning since 1967 when a goat shepherd lit a tire on fire and rolled it into the crater to ignite the natural gas emissions so that his goats would not fall into the crater at night… it has been burning since 1967! The Turkmens identify nationally as Sunni Muslims but they, like most of the region’s nomads, adhere to Islam rather loosely and combine Islam with a pre-Islamic Animist Spirituality and Sufi mysticism. The Turkmens do indeed tend to be spiritual but are by no means militantly religious. On the ancient stage, Turkmenistan is the birthplace of Zoroastrianism, and as such is considered the 5th center of world civilization. Ancient city at Gonur Depe, Turkmenistan, likely birthplace of Zoroastrianism and within mere miles of the AM47 Point of AIR. The climate of Turkmenistan is extremely dynamic with very hot summers and very cold winters. It just so happens that the time I’d earmarked for Hanging Man to begin, late February – early March, falls just within the two-month window of Turkmenistan’s most favorable weather conditions! Also, Turkmenistan is very near a major seismic fault line. Turkmenistan sounds like another fascinating place and I’d call it a big hit for Elemental Air. 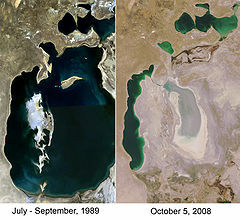 The looming environmental tragedy of the vanishing Aral Sea just a hundred miles due north hones even greater ‘Elemental urgency’ to the area. And check-out the giant spiders of the Kara Kum who hurl themselves into the Darvasa Gas Crater at night! Spiders from Mars!! The Point of Water is at the Japan Trench, which is part of the Mariana Trench, in the Pacific Ocean off the coast of Northern Japan (37.47 N, 154.03 E, 180 degrees around the world from the Azores), a point of the ocean that is nearly 7 miles deep which is part of THE DEEPEST point in the ocean on the entire planet. The eastern coast of Japan and the Japan Trench, center of both the Point of WATER and the tragic 9.0 Tohuku Quake and Tsunami of 2011. 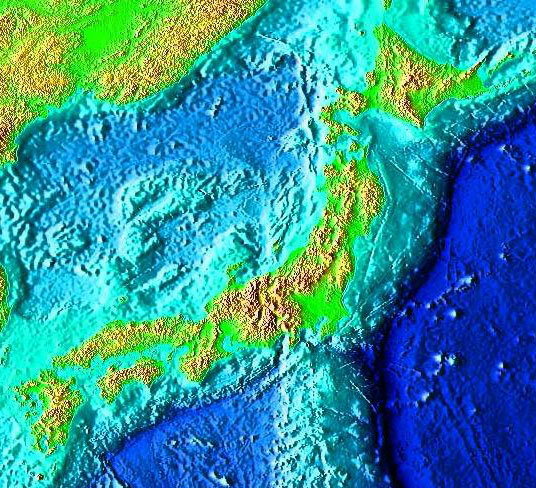 The Mariana/Japan Trench is a feature of yet another major seismic fault line. Being only a point at sea, it seemed like there was little else for me to learn from this location, and what I had, especially when compared with the other 3 points, it seemed enough. I was wrong. A crack in the Japan Trench. In mid July 2007, a PBS show that featured a segment on mini-submarines caught my attention. 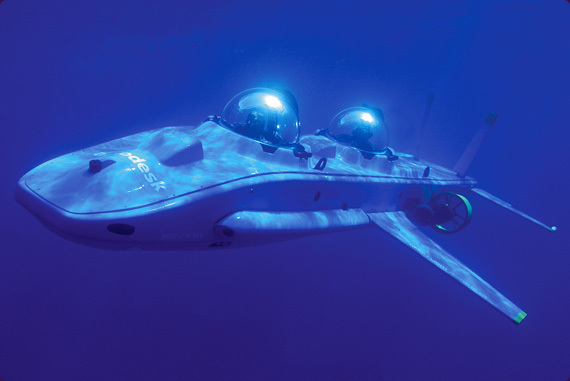 The submarines looked really cool, and I’d always been interested in ocean exploration so I checked out deepflight.com. I was astounded to learn that they were on a mission they called Ocean Everest, which was to pilot their prototype submarine to the bottom of the Mariana Trench (which is the underwater equivalent of going to the moon). Not only that, but that at that time they were scheduled to make that expedition in “late 2007″, which would synch perfectly with late November — the date I had earmarked for the commencement of the very first Sinking Man! What’s more, November in Japan just so happens to be the most calm weather month as the Typhoon season ends in late October… so a mid-October departure from San Francisco should be exactly right. Unbelievable. You can’t make this stuff up. Mark Twain said, “Of course truth is stranger than fiction; truth need only have happened, whereas fiction must make sense.” Well this was all definitely strange, yet it was also making sense. It turns out that DeepFlight’s headquarters are right here in San Francisco. I entertained the possibilities of underwater explorations, especially in regard to what I had learned about the Azores, and I could smell all the makings of an Atlantis expedition and beyond. 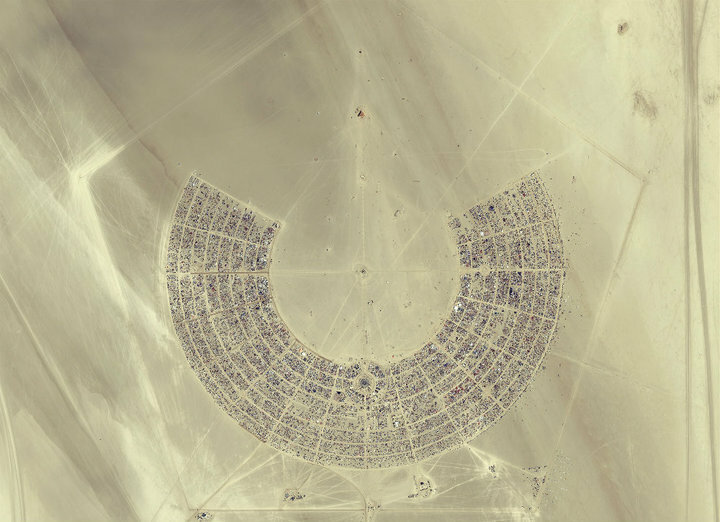 Burning Man is currently celebrated in Black Rock City, NV, USA (40.47 N, -119.13 W). The AM47 Point of Fire is in or somewhere very near the original point in San Francisco, CA (37.47 N, 122.28 W). Possibly even the heptagonal man-made Treasure Island!… A wonderful future point celebration of FIRE in San Francisco!!! 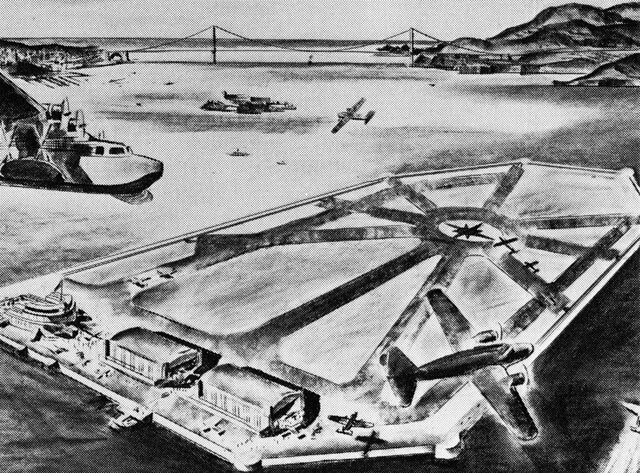 Old sketch of Treasure Island as an airport. Both the Nevada desert and the city of San Francisco may initially seem like arbitrary geographical placements for FIRE until they’re compared with the greater structure of the other 3 Elemental locales around the world. Was the exact location of Burning Man somehow foreseen by Hopi elders? 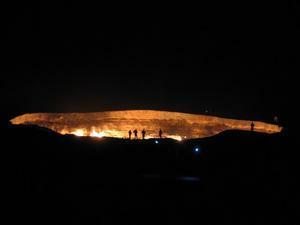 Or, is it simply that the Fire is there, and the people felt it and went there: the locations choose themselves. 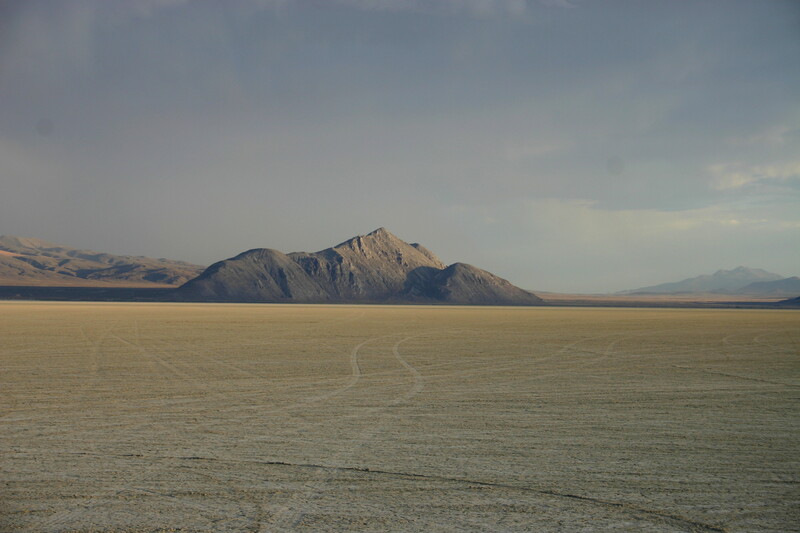 According to the founders of Burning Man: “The Black Rock Desert is a 400 square mile, thoroughly flat prehistoric lake bed, completely devoid of any vegetation or animal habitat. Its name comes from a large, prominent dark rock formation located at the north end of the desert. During the summer, the lake bed is primarily a hardpan alkaline playa. During the winter, it becomes a temporary lake which flattens the surface sediment and erases all footprints. This unique geological feature is the reason Burning Man is held in the Black Rock Desert, in Black Rock City”. 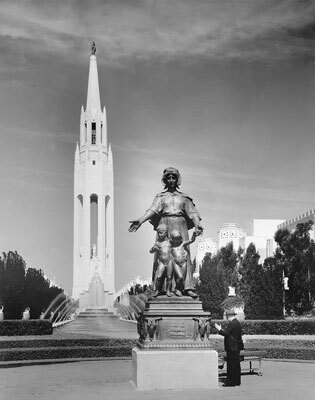 The Tower of the Sun on Treasure Island was a slim, octagonal needle with a statue of a phoenix at the top. Burning Man has an aspect of a kind of celebratory cremation that addresses death as cyclic change and transformation. In a way, Burning Man is not unlike a giant public transformative cremation. Each of the other Elements has its corresponding funerary practice as well: Water has burial at sea, Air has ex-carnation, Earth has earthen burial, and Fire has cremation. It is interesting to note that mummification and it’s modern day counterpart cryonics suggest aspects of a 5th ‘Point of AEthyr’… definitely more exalted attempts to deal with the transitions brought upon by death. And then there’s the practice of cannibalism which in it’s way is kind of another ‘fifth form’ of burial that is curiously linked with the internal spiritual Point of AEthyr , or at least by those who practice it anyway. Some ancient traditions, including Tibetan Buddhism and the culture of the Old Norse, had and continue to have a custom of observing a certain period of time between “death” and burial. According to custom, the body should be left “undisturbed” or moved to a place where it could remain undisturbed for a period of about 7 days. They understand death to be a gradual process rather than an abrupt event. Supposedly these 7 days gave the recently departed the time needed to properly form the subtle body (or one might term second, or Alter Body). They say that while this practice is not “mandatory”, it is certainly “very beneficial” to the process of dying. Once the subtle body had a chance to form, then the meat body could be disposed of accordingly (and perhaps in accordance somehow with the subjects sidereal astrological Elemental proficiency or deficiency?). Tibetan Buddhists say that the subtle body then goes through a series of complicated stuff lasting another 6 weeks at which point the subtle body is either reincarnated somewhere in the universe, or is freed from the wheel of life to attend better parties. Burning Man lasts a total of 7 days: 5 for the build-up, 1 for the burn and 1 for clean-up. 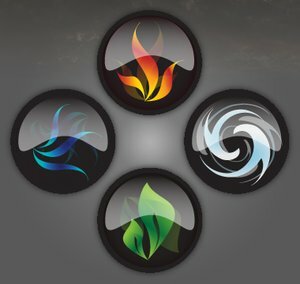 I think the other four Elemental ceremonies should have a similar seven day duration: 3 to culminate, 4th to peak, and 7th to terminate. Whatever I had set out to find, I was finding it. Deep in the process of establishing the real possibility of embarking on a global magical mystery tour for myself and others, I realized I’d been waiting for something like this for a VERY long time. I had set out with an antithetical spark from Burning Man and the tropical vs sidereal astrology debate, and now a different New FIRE lit the way. –And onward then across the Atlantic to New York City, down the east coast to Havana, down along Central America, through the Panama Canal and then back up north to return to San Francisco after a long year. Seems like a great adventure and a potentially great premise for a documentary film. I know the journey will need to be connected by water and made by sea. In late July 2007 a photo from a Yahoo! news story caught my eye. It was the picture of WAM-V. Described as a “spider boat”, it is a very unusual and brilliantly designed ocean vessel that would be ideal for the futuristic feel of AM47. The WAM-V had burst onto the scene at the 2007 Cannes Film Festival, and caused quite a stir of publicity. I had been wishfully perusing the used power and sailboat market, but since I had neither capital nor sailing experience, and without a windfall of some kind, benefactors, sponsorship or the lottery, all I could do was look and drool. So this WAM-V caught my eye. The company that makes them is based (once again) right here in my backyard, in Oakland, CA… another hit. The WAM-V can cross the ocean with a negligible carbon footprint on a SINGLE TANK of bio-diesel (no “rigging” experience necessary, etc. ), has auto-pilot (practically remote-controlled, providing ample dreamtime), cool sci-fi design, high responsiveness and maneuverability, and is relatively quite affordable compared to other powerboats in her class. Another great thing about the WAM-V is being modular, which means she both collapses easily for shipping, and can be fitted with extra “modular compartments” that can be ‘plugged-on’ to house things like a mini film studio, and maybe another module for a mini SUBMARINE for Cetacean and Atlantean explorations. 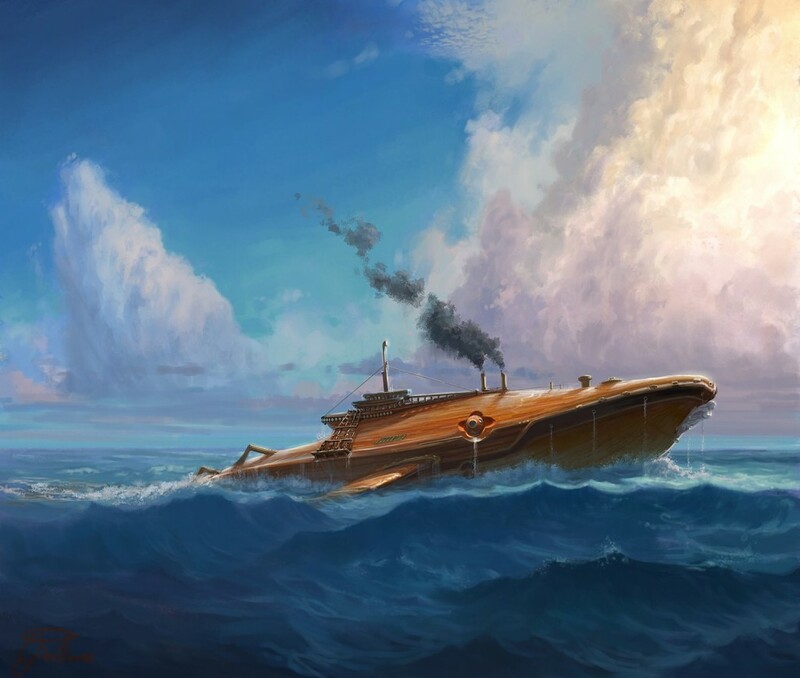 Now though, the most realistic, interesting and meaningful idea for a ship to use for AM47 is a decommissioned military vessel that we can alter into a thing of beauty. An alt-fuel conversion will need to be done (w/ sponsors??). And posing the project to the Maker Faire and Burning Man community (both based here in the Bay Area) in order to fill the boat with all manner of weird science, arts and examples of alternative energy, sustainable living, etc. I still like the WAM-V though. It’s got a Star Trek thing going. Maybe we can get one too. Since I was tying together all the Elemental ceremonies I figured the project should be called ‘something-man’, and since the heart of alchemy is transmutation, Altering Man or simply Alter Man seemed right. The definition of Alter : 1. to make different without changing into something else, 2. to become different, 3. to castrate or spay. Alter Man also means another self, a better way to be. A choice, a chance, a change and control of course, to alter as well as alert. Considering the state of the world, it’s no surprise that the word alter should also mean to castrate or spay. It really comes down to the question of fertility vs. infertility: will this world continue to support life as we know it (and want it!) or will it not… Alter or Oblivion, Change or Die. Maybe AM47 will be a modern day manifestation of Quetzalcoatl/Viracocha.?. The freedom to pursue the fantastic, to explore consciousness and raise Awareness are what we aim to achieve on the voyage of filming ALTER MaN 4 7. Wild Wishing.